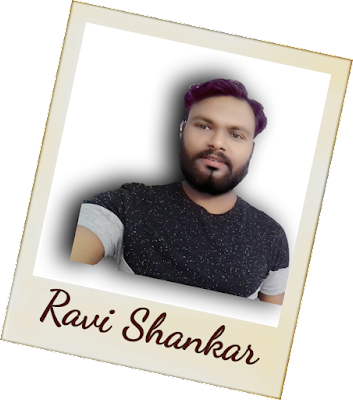 Dosto agar aap koi website chalate hain ya aapka koi Blog chalate hai to aap zaroor kisi achche Template ke baare mein soch rahe honge .To aaj main apko kuchh blogger template ke baare mein batayenge wo bhi free mein. Features-Is blogger Template mein Mordern aur clean features hai,Responsive design,3 column footer, Blue, Email Subscription Widget Ready, Social Bookmark Ready, Page Navigation Menu, Slideshow, Seo Ready, 3 Columns Footer, White, 1 Sidebar, 1 Right Sidebar, Clean, Technology, News, Ads Ready, Magazine, Free Premium, Post Thumbnails, Responsive, Social Bookmark Ready, Drop Down Menu, 2 Columns. 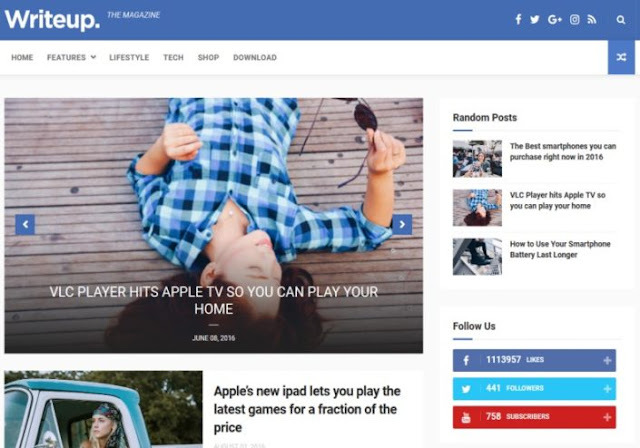 Is Blogger Template mein apko 2 Columns, 1 Sidebar, 1 Right Sidebar, Right Sidebar, Adapted From WordPress, Gray, Magazine, White, Drop Down Menu, Social Bookmark Ready, Post Thumbnails, aur Web2.0, Responsive.features hi milenge. 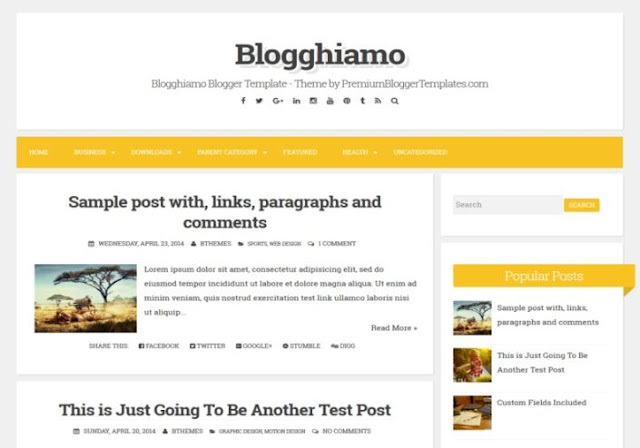 Is Blogger Template mein 4 Columns Footer, News, Slideshow, Ads Ready, Personal Pages, Page Navigation Menu, Simple, Social Bookmark Ready, Magazine, Email Subscription Widget Ready, Minimalist, Post Thumbnails, Responsive, White, Gray, Clean, Drop down Menu, 1 Right Sidebar, 2 Columns, 1 Sidebar, Right Sidebar.ye sabhi features apko milenge. 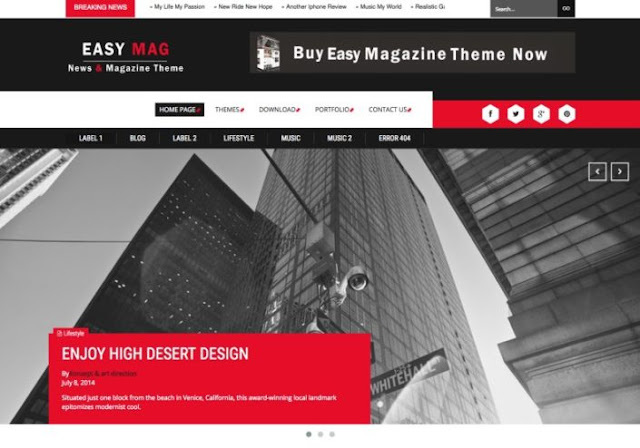 Is Blogger template mein, Ads Ready, Social Bookmark Ready, Vertical Drop down Menu, 1 Right Sidebar, 3 Columns, 1 Sidebar, Right Sidebar, White, Red, Gray, Gallery, Magazine, Page Navigation Menu, Responsive, Adapted From WordPress. Ye sabhi features apko is template mein milenge. Dosto ye humara best template hai. 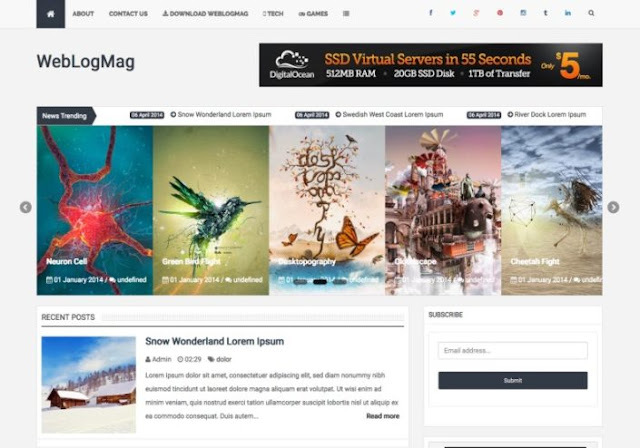 Is Template mein Blogger, Email Subscription Widget Ready, Ads Ready, 4 Columns Footer, 2 Columns, Slideshow, News, 1 Right Sidebar, Right Sidebar, Minimalist, Clean, White, Seo Ready, Free Premium, Post Thumbnails, Responsive, Social Bookmark Ready, Drop Down Menu. Doston Ye humara best Blogger template aapko kaisa laga niche comment mein zaroor bataiyega.Read karne ke liye Thank you.